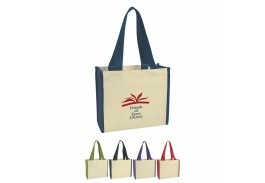 Carry books, clothes and more with a custom cotton tote bag! Made of 12 Oz. 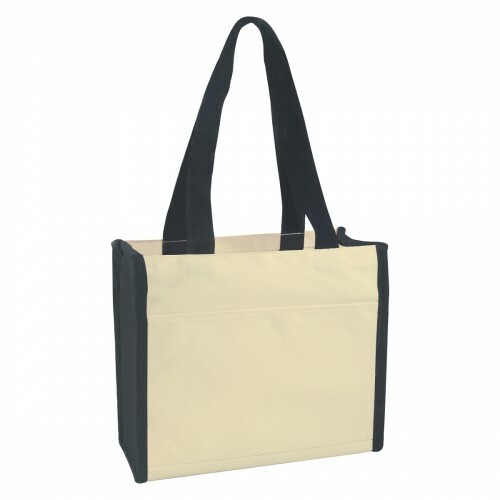 cotton canvas with an outside pocket perfect for documents, this personalized tote bag has 27" handles so you can easily carry it along with other bags. 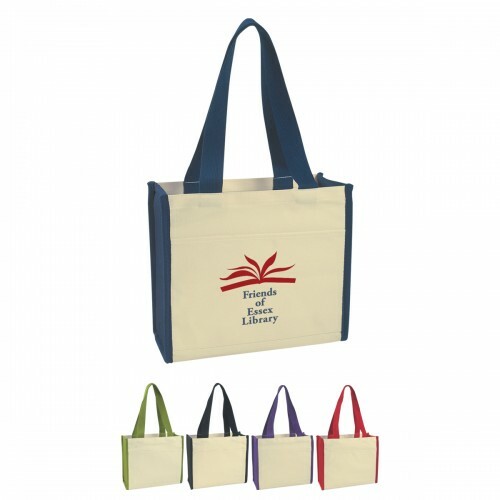 Measuring 6” deep for larger items, the bag is a natural color with Navy, Red, Black, Purple or Lime Green handles and sides. Easy to care for, simply spot clean and air dry to keep your tote looking great. Colors: Natural with Navy, Red, Black, Purple or Lime Green. Approximate Size: 14" W x 12" H x 6"